We know that Valentine’s Day planning and post-New Year trips to one of the most romantic cities – St. Augustine, Florida have begun! One of the frequently-asked questions from our guests is – “What are the most romantic restaurants in St Augustine”? Others are looking for fun things to do during the day that just might involve food and wine! Stay tuned for our first-hand encounter and review of St Augustine’s Exclusive Food and Wine Tour! Our favorite romantic restaurant in St Augustine is our next door neighbor – Michael’s Tasting Room. Michael’s Tasting Room is located on the East side of the Agustin Inn on Cuna Street. The restaurant has received many awards through the years including their most recent – The Open Table’s Diner’s Choice Award of 2016 and the prestige Trip Advisor’s Award of Excellence 2016! 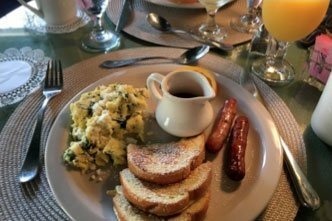 Michael’s Tasting Room has also partnered with the Agustin many years with our famous St. Augustine Bed and Breakfast Holiday Tour. The atmosphere here can be considered fine casual dining and the superior menu is Spanish Inspired and locally-rooted with small plate selections as well as entrees to satisfy the larger appetite. The wine list is simply incredible! During this time of year again, reservations are recommended. Another wonderful dining option is Collage on Hypolita Street! When dining at this restaurant, be prepared for a first-class award-winning experience that you will surely remember! Their menu reflects the eclectic tastes of its owners Mike Hyatt and Cindy Stangby. Focused on fresh local seafood, steaks, lamb and veal, using international profiles, it is a menu that simply cannot be described in words! This romantic St Augustine restaurant is located just a block off St. George Street in the heart of the historic district. This means just two blocks from the inn’s front door! Collage serves dinner only – nightly from 5:30 p.m. and reservations are strongly recommended. Be sure to visit their official website to view many of their special plates and pick your night! This local favorite could be the culinary experience of your life! We would love to have you as our guest at the Agustin Inn. 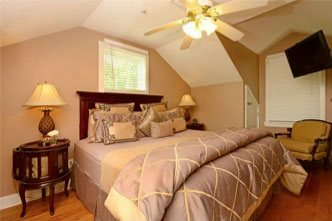 Located in the heart of St Augustine’s historic district, we do not disappoint when it comes to convenience and an ideal location! We are happy to welcome you when you arrive and make you feel right at home! We strive to provide you with luxury yet cozy accommodations while you are visiting the nation’s oldest city. Our 18 rooms come with different amenities – some offer private balconies to sit out and enjoy the sights and sounds of St. Augustine while enjoying morning coffee or an evening nightcap. 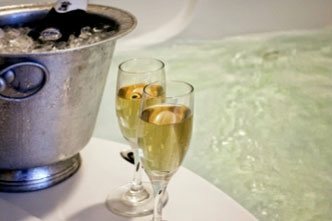 Other rooms offer luxurious whirlpool tubs made for relaxing and much more! 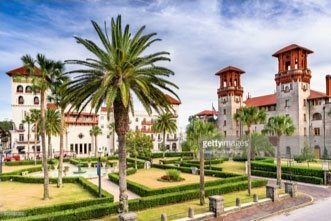 Be sure to reserve your romantic St Augustine vacation with us and check out our selection of romance packages to enhance your upcoming stay. We look forward to making your vacation one to remember!